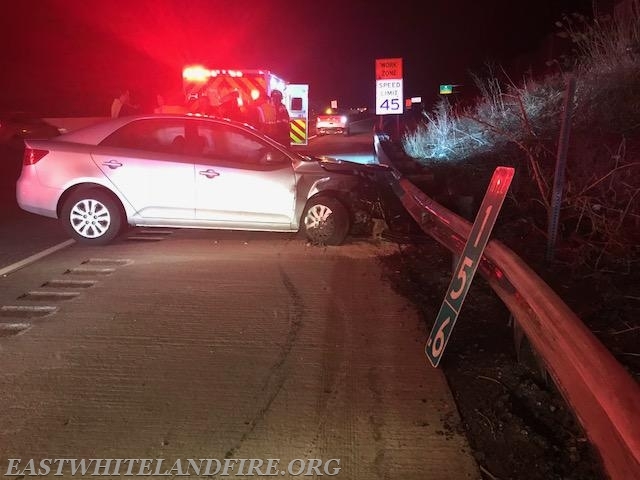 Units were dispatched for the report of a single vehicle accident with the vehicle into the guardrail. The operator of the vehicle was reported trapped. Arriving units found the vehicle with the operator still in it. The operator was not trapped and was tended to by EMS. The operator refused medical care. The Pennsylvania State Police arrived and handled the matter. There were no other injuries.